With the summer rolling away, it is time to confess that really in the terms of ‘EVN Summer Blockbusters’ so far there has only been one and that is a visual novel VNs Now has been following almost since the beginning: Cinders by Moacube. After watching it explode on the internet and seeing the indie press shower the EVN with rave reviews, I knew I had to get in and talk with the people who made it happen. So, in an Olympian effort on behalf of Tom that would make Usian Bolt weep in jealousy, I am honored and privileged to speak not only with Tom Grochowiak again but the entire Moacube crew: artist Gracjana Zielinska, writers Hubert Sobecki & Agnieszka Mulak and musician Rob Westwood! For the rest of our coverage of Cinders, check it here and here! VNs Now: First things first, congratulations on the release of Cinders! Between this and the release of your other projects this year, when can we expect your Dos Equis commercial? Tom Grochowiak: Thanks. Yeah, there’s been some talk about making a Dos Equis commercial. In fact, the Dos Equis guys came all the way to Poland to BEG me to make it. Had to refuse, unfortunately. I’ve got problems with groupies jumping on me everywhere I go already, you know. And I HATE when someone interrupts me while I’m smoking cigars and enjoying my evening jacuzzi. People are so rude these days, sheesh. VNs Now: On a more serious note, this is an impressive roster you have under the Moacube banner. Did you find them all in a bar or what? How did you guys get your start? TOM: Oh, I’ve collected them like Pokemon during my adventure with indie games. MoaCube is really more like a bunch of friends who team up to work on a project, rather than an actual studio. Not everyone is involved in the production of everything we do. 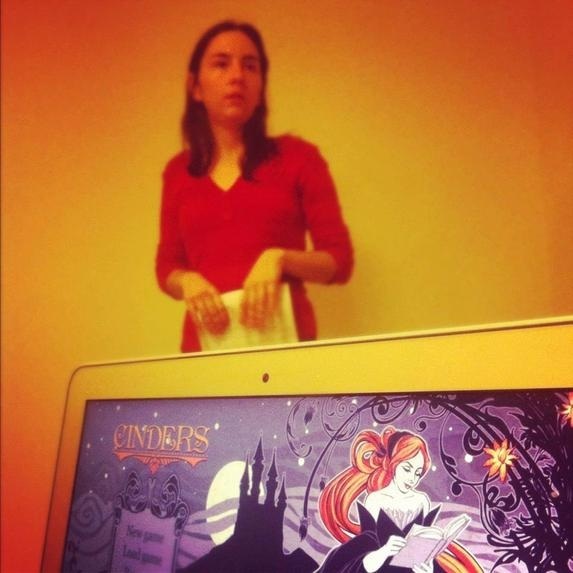 Talking about the Cinders team, Gracjana (our artist) I’ve met in the game dev company we worked for together. Lots of common ideals and goals; quickly became friends. When the company disbanded its dev team, we decided to go full-time indie together and that’s how MoaCube’s got started. Never regretted it. She’s great both as an artist and as a friend. 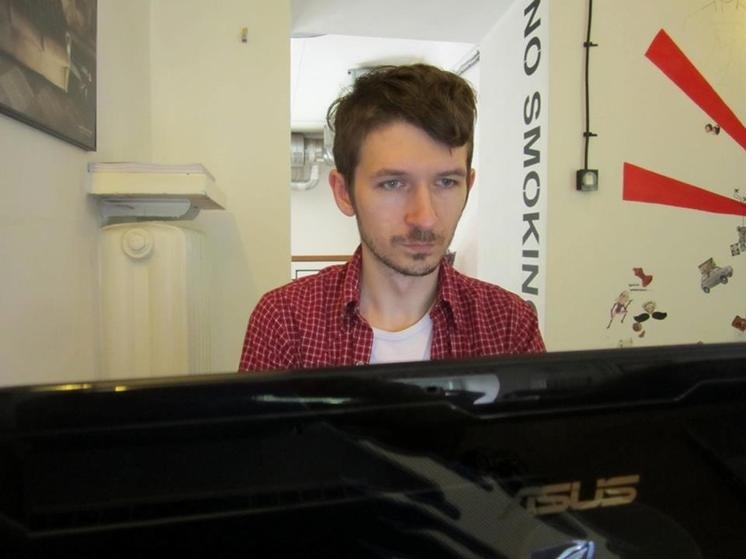 I’ve met Rob (the composer) on some forums, back when I was making my first indie game — Magi. He was looking for portfolio material; I was looking for a composer. Natural symbiosis. Since then, we worked together on many projects, including the stuff I did for my last company. Great guy and I love his work. Ayu emailed us herself and offered her help, so that’s simple. When she left the project, and we were looking for someone to finish it, Gracjana suggested we try out her friends. That’s how I’ve met Hubert and Agnieszka — our writers. Also love on first sight. If everything goes well, we look forward to making several more games with this squad. VNs Now: So one day Rob, Tom comes to you and says, ‘I want to do something with a fairy tale’. What started going through your head about how Cinders would sound? ROB: Immediately, I was excited and happy, not only because it was another Moacube title, but because the fairytale world felt like something that would be very comfortable to write. There’s quite an English/Irish/Scottish/Welsh folk grounding in my musical past which often carries a very heavy fairytale vibe in respect of the stories that they tell. I immediately knew it would have to sound pretty. I like pretty. I also knew it had to be quite dark so I wrote a sketch to set the mood and come up with a theme. The atmosphere and a memorable theme are the most important things to get. If they’re wrong the rest of the soundtrack will fail. After a couple of attempts (including a really pretty sounding track I wrote which Tom used a small section of for character introductions) I managed to nail it and that’s what you can hear in the game. From then on that set the mood. I knew there would be a lot of woodwinds as they’ve got a very personable sound. You can also personify them (although I don’t like to as then they can get effectively “typecast”). I love the strained, unadulterated beauty of the Bassoon playing in a very high range as opposed to the low “ploddy” staccato notes it’s often made to play. I used it quite openly in the Fairy’s theme. The art gave me great direction for the music.I knew I had to match its beauty while also keeping the dark undertones and high and varied emotions of the story and its characters. So, to sum up, from the start I knew there had to be a wide range of emotions that could change at any moment, distinguishable themes for places and characters that weren’t necessarily forced in one direction and an overarching beautiful darkness (which I think the main theme set well). VNs Now: Gracjana, outside of the Prince character, the original Cinderella fairytale was also light when it came to men. Yet there are several important male characters involved throughout the story. What was it like designing these characters without any previous inspiration? GRACJANA: We thought we need to have someone good and friendly (Tobias) and someone mysterious and dark (Perrault). But we didn’t want them to be just as simple. They both have their different agendas and backstories. But they needed to be varied from the start; otherwise it would be boring getting to know them. Perrault’s outfit, a topic of many jokes, was supposed to differentiate him from the rest of the crowd. Everyone else dresses according to their position. Carmosa wears a noble dress, Cinders has servant’s rags, Tobias wears a modest (but not poor), merchant outfit. The Captain is not dressed as a typical guard, but rather an adventurer. After all he’s more a warrior and a vagabond, an advisor to the Prince, than just a simple service man. Another topic is the Prince himself. We didn’t like the fact that he’s usually pictured as the man with no character whatsoever. That’s why he’s the man looking for a smart queen, someone who he can not only love, but also rely on. He’s both ruthless and sensitive. Wanting to give all the people civil rights, but prepared to do some pretty dark things to achieve it. So, basically, we weren’t trying to make “romance options”, rather 3 different guys that people can find interesting even without the need to romance them.